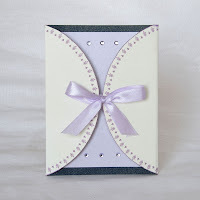 From The Earth: Blog: Design Your Own Custom Handmade Cards! Are you looking for something unique to market your business? Or maybe you want to add an extra splash of your own personality for a special event like a wedding or a baby's birth announcement. 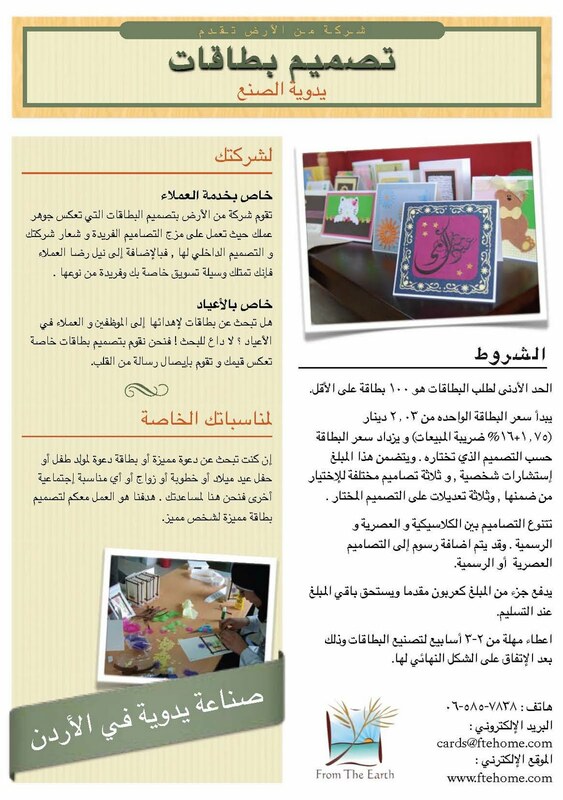 We can design cards just for you. How does it work? After a personal consultation with our talented designer, we will present three different designs that reflect you! You can make up to three changes to the design, and with our creative expertise, your ideas, your colors, and your style, we know that you will love your card. 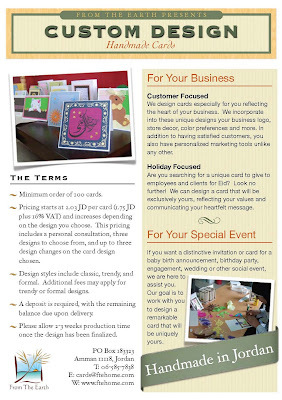 With only a minimum order of 100 cards, our custom designs start at just 1.75 JD (plus VAT) per card. This includes your personal consultation, all sample designs, printing on the inside, and envelopes. Call us at 06-585-7838 or email cards@ftehome.com to create your own custom designed cards.